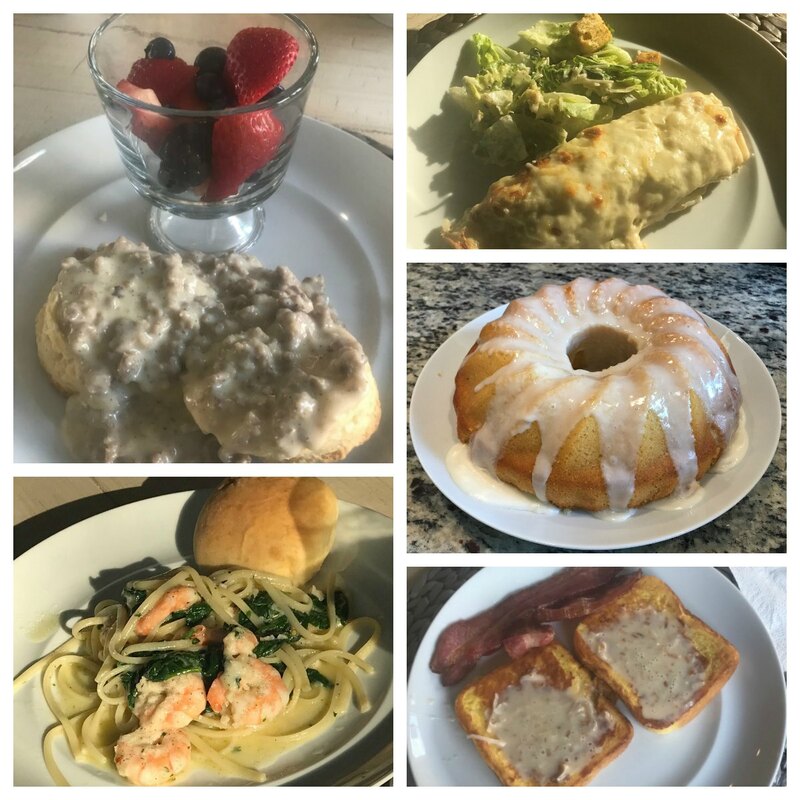 Thank you notes: focus on family and food! | So what? Now what? This is my first gratitude post since discontinuing Friday Favorites. Looking through the photos I’ve taken in just the past 2-1/2 weeks, I can see it will be a challenge to cram a month’s worth of wonderful into one post. I will do my best. This month I tried combining favorite moments into collages. Next month may bring a different approach. We’ll see. Thank you to my sisters and best friend Margie for the wonderful food we enjoyed on girls trip. One of my favorite parts of our annual get-together is cooking for each other. So much love and creativity goes into these meals, which only makes them taste better! Besides eating, we also hiked, read, shopped, napped, laughed at ridiculous reality shows, and talked a lot! Thank you ladies for taking time out of your busy schedules and away from your families. Thank you to our families and coworkers for holding down the fort while we enjoyed some much needed R&R and girl time. Thank you to my husband, children, and grandchildren for four glorious days at Bear Lake North RV Park & Campground. Thank you to the campground hosts, Kent and Misami, for their amazing hospitality. We’ve been spending our annual family vacations there for 12 years now, and it feels like our home-away-from-home. For the past several years, my sister and her family have also joined us, spreading the joy even further. Thank you Moore family. 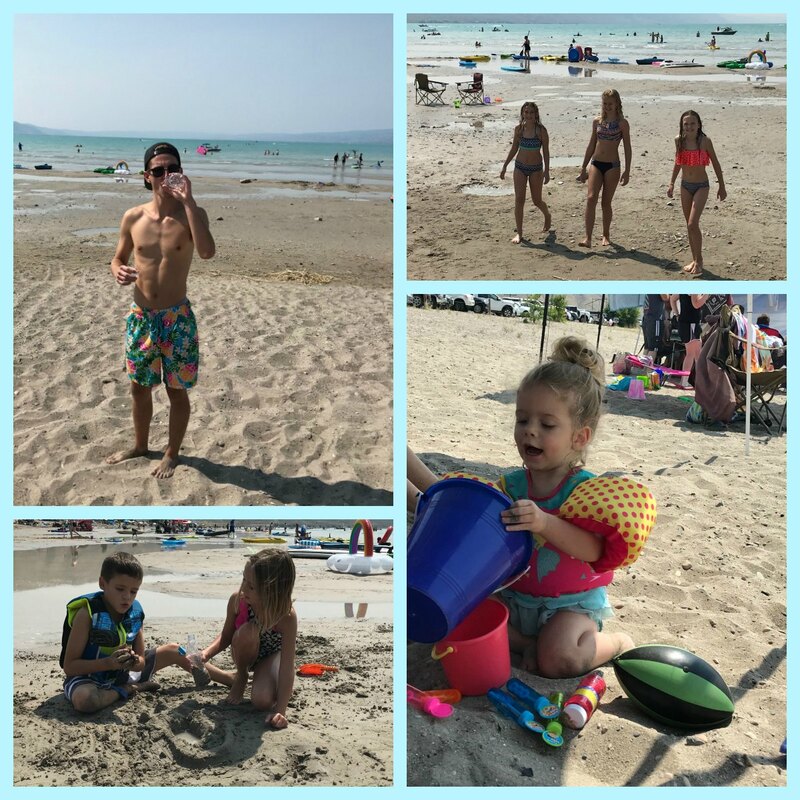 Of course, a Bear Lake vacation demands a trip or two to the beach. Thank you Mother Nature for the perfect boating/tanning/lounging weather. Thank you Buddy and Kenzi for providing the boat rides. Thank you grandchildren for providing the entertainment. 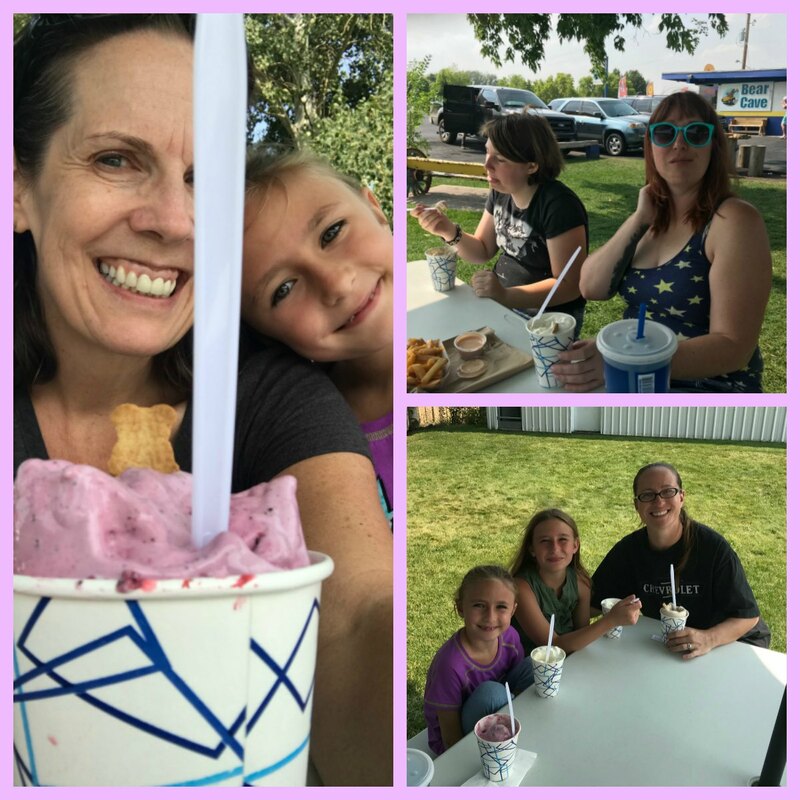 And no Bear Lake vacation is complete without milkshakes! Thank you Bear Cave for these masterpieces. Thank you Jessi and Ashley for letting me tag along. 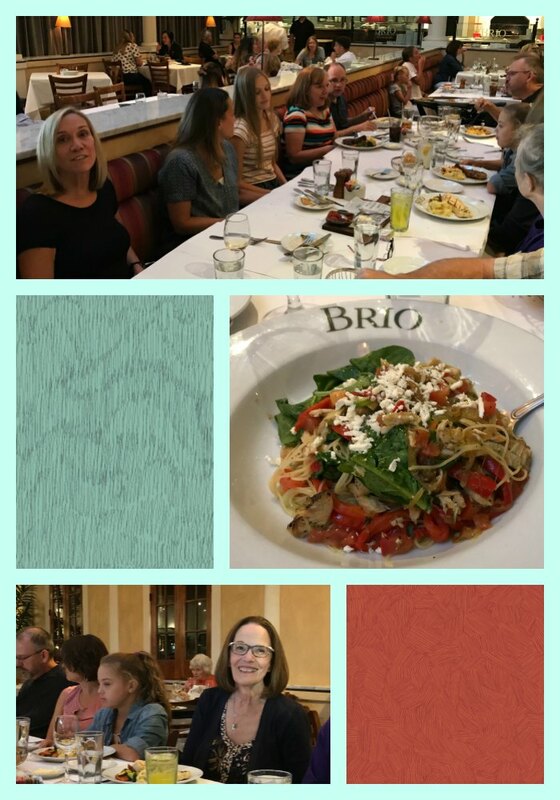 Thank you to Aunt Sheri for coming to visit all the way from California and for hosting the family dinner at Brio Tuscan Grille. Thank you to Blaine and Allison for getting Mom there. 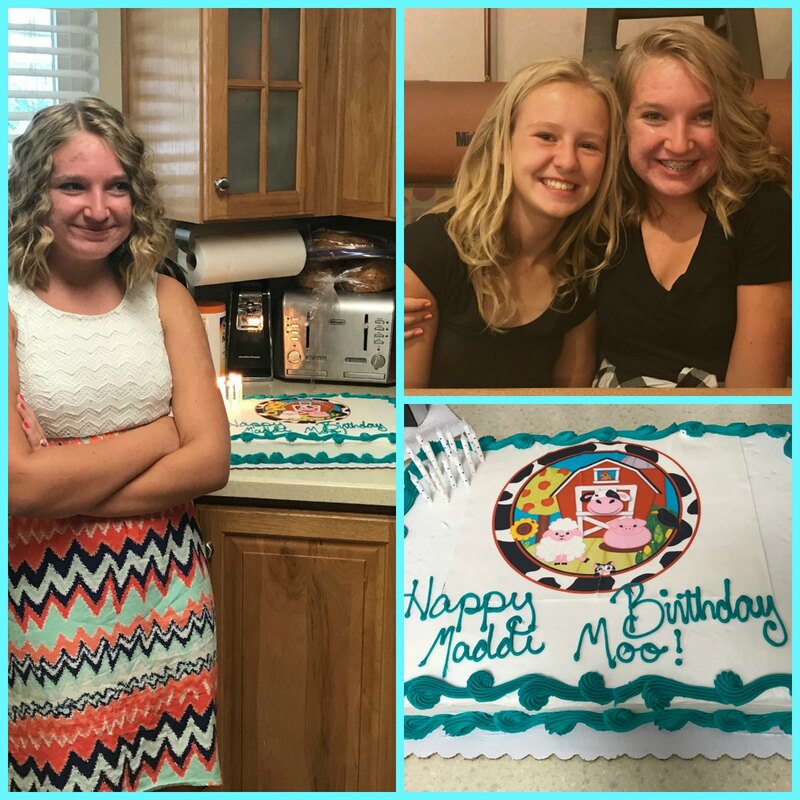 Evidently, girls trip, Bear Lake, and family dinner didn’t provide enough family time for me (I’m getting greedy), we also celebrated Maddi’s 13th birthday–twice! Thank you to Maddi for celebrating with Papa and Grandma. I just wish you’d stop growing! In all seriousness, I am beyond blessed to have such a large loving family. What an awesome summer you’ve had, Christie. I love your priorities! It really has been wonderful, Donna–and so much good food. I noticed most of the people in the pictures were turned away from the camera–so much for candid shots. 🙂 At least I did get Sheri. I don’t have a lot of photos of her. 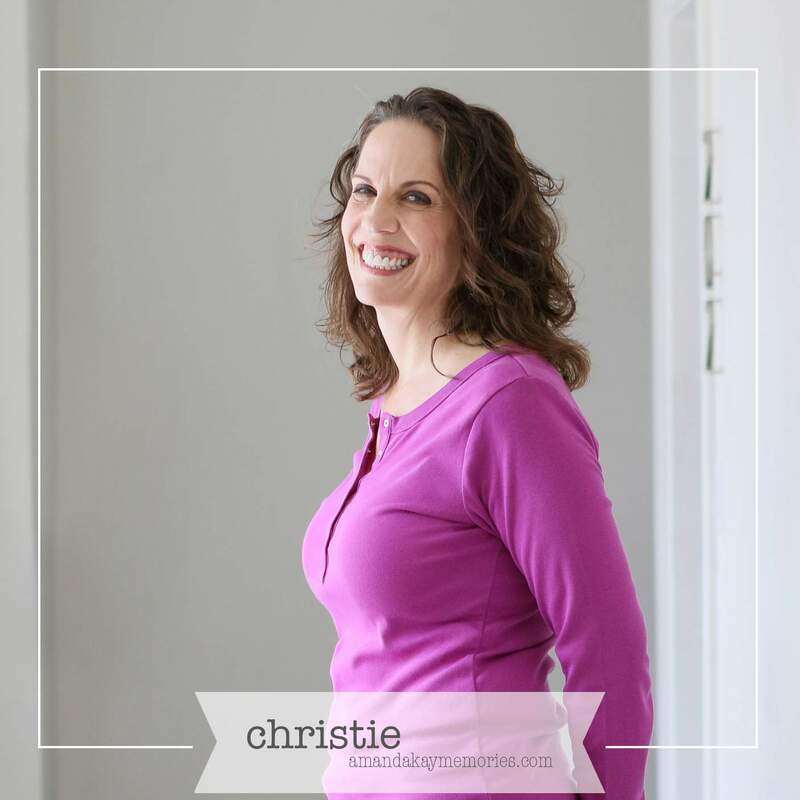 Love all of these photos, Christie….you have such a wonderful family. I have heard about Bear Lake from several Utah friends. It looks wonderful, especially the food and family. What fun! Bear Lake is a beautiful place, Leah. Of course, enjoying it with family makes it all the better. Christie it sounds like you’ve had a blast over the last few weeks. 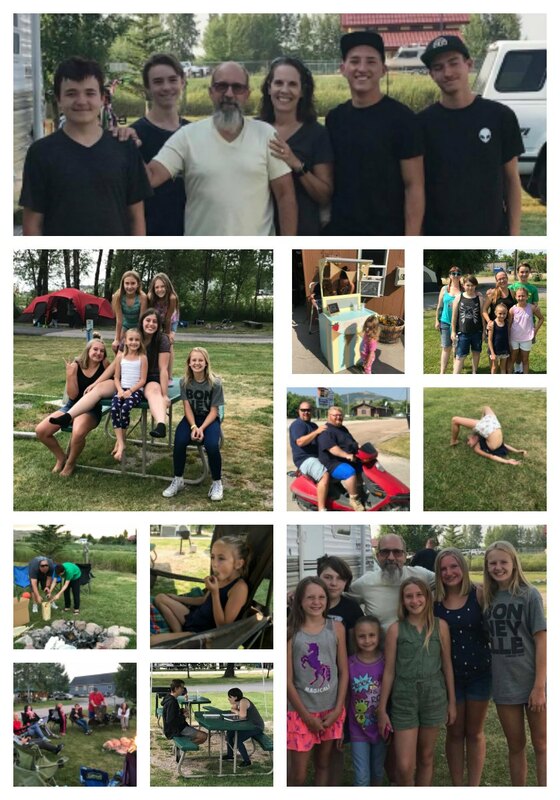 How special to have that lakeside vacation every year and to get to share it with family and grandchildren especially is so wonderful (I’m a little envious to be honest!) Great photo montages and a lovely insight into your life so far away. Thank you Leanne. It was lovely. The grandchildren are all growing up so fast, and I’m sure some will choose to venture farther away than our own children have, so I’m just trying to soak up every minute. We’ve been so blessed to have all of our children and grandchildren within about 10 miles of our home. Thanks Sue. I have to agree with you; the people in our lives are the most important thing, and it’s fun for me to be able to share mine. Congratulations on a second marathon. That’s a big accomplishment. You never cease to amaze me. Enjoy the rest of your week! I’m glad you enjoyed it Jennifer. I think my family’s pretty special–but I might be a little biased. 🙂 A few days in Queensland with friends sounds lovely. Enjoy the rest of your week! There is nothing like family and friends. My sisters and I do a trip every year though not sure we will make it this year. Any time our family gets together it is nothing but talk, laughter and food, great times. Looks like you had a great month. I do feel blessed to be surrounded by a loving family and so many friends! It sounds like you are too. Your alone time sounds wonderful, Molly, and I’m intrigued by your baby steps to future goals and dreams. I’ll stay tuned. What a fun and wonderful set of memories made there. Very special times share! My week has been pretty run of the mill with little snippets of good including getting out to meet a new friend for coffee and buying some new markers for art. Next week, I am crossing my fingers AND toes because after 14 months I am probably going to get new teeth for the top gums. Sigh. I wonder what having teeth will feel like again! I’m crossing my fingers and toes for you as well Denyse! 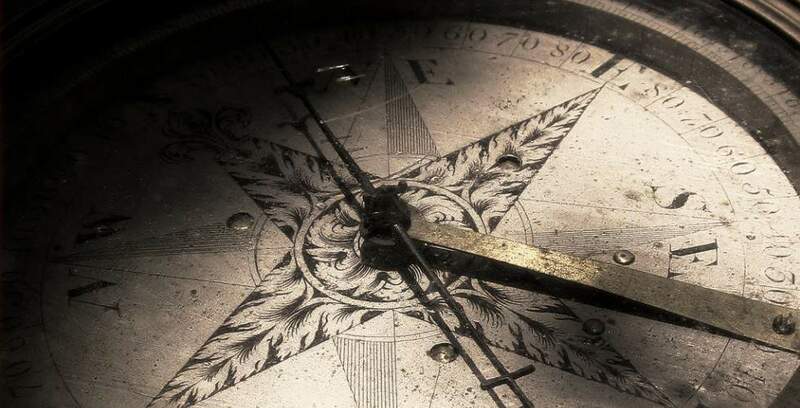 You’ve been down a long road, and I admire your resilience and your willingness to share your journey with us. Thank you. Family rocks. I can hardly wait for the holidaze! Family is fabulous! I’m not quite ready to think about the holidays.